Home Eco Friendly Guide	3 New stingers species found far north Queensland! 3 New stingers species found far north Queensland! Australia’s far north Queensland has again come up with new acquaintances to the world as a ‘New Year’ surprise to the scientists. 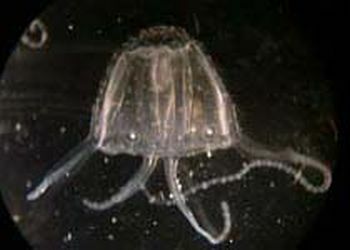 They are three new species of marine stingers – one of which is a new type of the potentially deadly irukandji! The other two species are harmless to people. All these species were found within days of each other off beaches near Cairns. It’s just exciting when you discover something new, whether it’s got a big red cross through its middle, or it’s a little, tiny, tiny species or whether it’s something potentially deadly. It adds to the excitement and the wonder of finding all of these new species and just a reminder of what’s out there and how much we still have yet to discover. According to Gershwin, the new species are yet to be given official names.